At Laser Plumbing Christchurch East, we understand what businesses need. 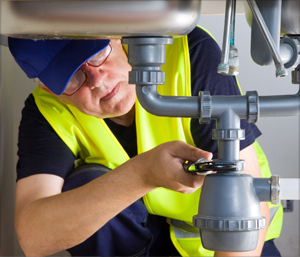 We provide 'Totally Dependable' commercial plumbing services across all of Christchurch's suburbs and surrounding areas. We offer the highest level of responsiveness and reliability, including on-line job management and reporting. We have a commitment to a high standard of health and safety and believe all accidents are preventable. We ensure our contractors are up to date with current health and safety practices and do our best to ensure that all sites are safe before proceeding with any work. Our responsibility is to provide your commercial plumbing project with the most up to date and innovative solutions. That is why we work closely with our key suppliers to ensure we deliver the latest technologies at a competitive price. We are also proud to be industry leaders in energy efficient plumbing products and solutions. We believe a small change in your plumbing fit out not only costs less to run but can also help you significantly reduce your water consumption. It's good to know that you can save money while also helping the environment. You can rely on us to give you expert plumbing advice and the best plumbing solutions. We can take care of your commercial plumbing requirements, so please contact Laser Plumbing Christchurch East to discuss your requirements.